John "Jack" Frances Owens, Jr. 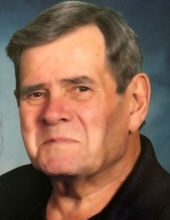 Celebrating the life of John "Jack" Frances Owens, Jr.
Obituary for John "Jack" Frances Owens, Jr.
John “Jack” Frances Owens, Jr., 75, of Fayetteville passed away March 27, 2019. Jack was born on May 18, 1943 in Brooklyn, NY to the late John and Violet Owens, Sr. He was a Veteran, was retired from Eastern Airlines, and worked as a real estate agent for many years. He was an avid golfer. Jack was a family man and loved his wife, daughters, and grandchildren very much. Jack is survived by his wife, Panay Owens; daughters, Christie (Scott) Ingram and Jennifer (John) Williams; granddaughters, Lillian Ingram, Olivia Mcleod and Grace Mcleod; grandson, Johnathon Williams; brother, Rod (Joan) Owens; nephews, Rod, Jr., Phillip and Patrick Owens; and his beloved dog, Orea. A memorial service will be held Saturday, March 30, 2019 at 2:00 PM at Fayetteville Christian Church, with Rev. Andrew Higle officiating. The family will receive friends on Friday, March 29, 2019 from 6:00 – 8:00 PM at Mowell Funeral Home, Fayetteville. Flowers are appreciated. To send flowers or a remembrance gift to the family of John "Jack" Frances Owens, Jr., please visit our Tribute Store. "Email Address" would like to share the life celebration of John "Jack" Frances Owens, Jr.. Click on the "link" to go to share a favorite memory or leave a condolence message for the family.